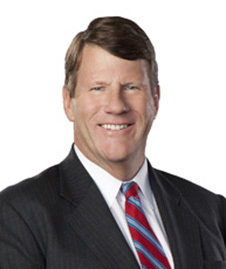 Craig Delk joined the firm in 1979 and has built his entire legal career as a trial lawyer in the Las Vegas office. He has been AV® Preeminent™ rated for many years and during his career Mr. Delk has been asked to represent clients in some of their toughest or most high profile cases. This includes defending the NCAA in lawsuits concerning one-time UNLV basketball coach Jerry Tarkanian. Mr. Delk’s practice is quite varied. As a private pilot with both flight instructor and airline-transport ratings, Mr. Delk is commonly retained to handle aviation matters from personal injury to product claims by both single pilots and large airlines. His experience also includes the defense of insurance carriers in first-party claims, third-party claims and coverage determinations. This practice includes the successful resolution of tenders of defense, additional insured clauses, indemnification agreements and other related issues. Mr. Delk also represents clients in defective product and negligent security claims as well as medical malpractice claims against both doctors and institutional medical service providers. Away from work, Mr. Delk is a Black Belt in Tang Soo Do Karate, enjoys flying, skiing, horseback riding and riding his off-road motorcycle. He and his wife, a District Court Judge, have three children, the oldest of whom is a flight officer in the U.S. Navy flying the new Boeing EA18-G Growler.